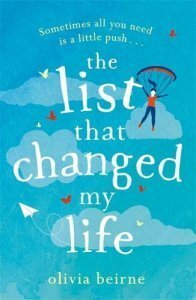 Ooh, I do love a list! 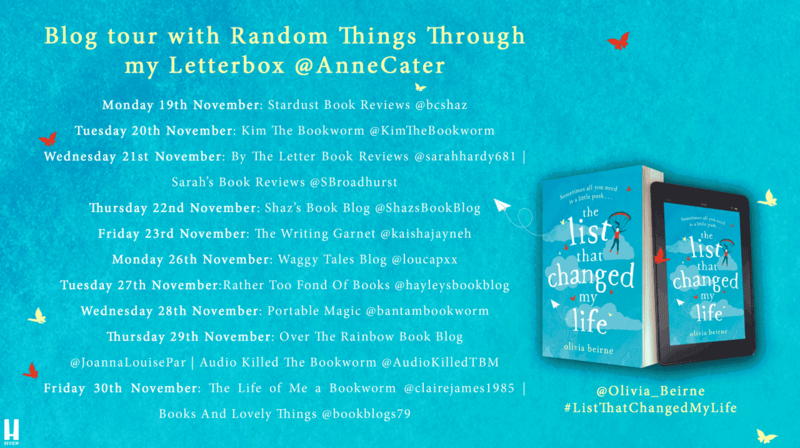 And that’s one of the reasons why when I read the description of The List That Changed My Life by Olivia Beirne and thought it sounded fab, I wanted to be involved in the blog tour. I absolutely LOVED Georgia and Amy and their sisterly relationship. More like best friends than sisters, that would do anything for each other, particularly when faced with a life-changing diagnosis for one of them. There were lots of tears and lots of laughter along the way as Georgia carries out a number tasks that she didn’t choose ending up with one massive one. Such an entertaining journey. Olivia Beirne is so talented to create such fabulous characters that you want to know and be friends with. Hard to believe that she’s a debut novelist. And Jack! Well! I’d quite like a Jack in my life. He was such a wonderful, not without his flaws of course, but ah, Jack! The ending of the book was predictable but absolutely perfect. I actually love a predictable and happy ending. It gives me exactly what I want from a romance, but this is not just a romance. It’s a book about living life to the full, right now while you can as you never know what the future may hold. It was a proper feel-good, heart-warming, very natural and relatable story which I thoroughly enjoyed reading. 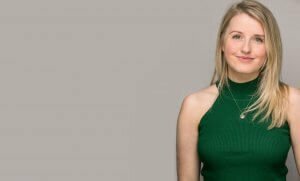 I’d put my money on Olivia Beirne being around for a long time to come. Highly recommended. There is a blog tour taking place for this book, with some fabulous blogger who have read it and passing on their thoughts. Please do visit their blogs on the dates below to read their thoughts too.